If you needed any further proof that coyotes do, in fact, roam Philadelphia, here it is. Philadelphia police caught this little guy in Mayfair on Tuesday. A spokeswoman for the department said he was hanging out near the 4200 block of Greeby Street, not far from Pennypack Park — where he probably came from. 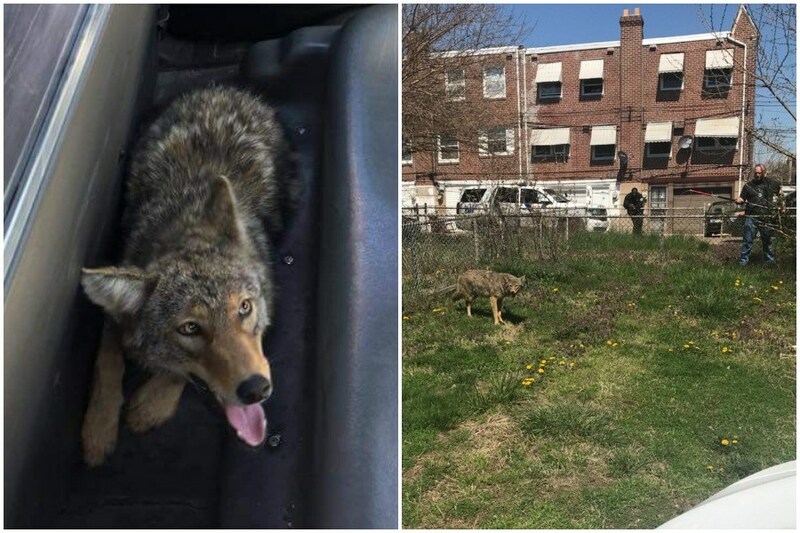 The coyote was released to the city’s Parks and Recreation Department, which then handed him over to the state’s Game Commission, according to the Inquirer. It’s not clear where he went after that (the Game Commission couldn’t immediately be reached for comment), but we hope he’s OK, because he’s pretty cute. In case you didn’t know, northeastern coyotes have been spotted in the area for years now, primarily near Roxborough and the Wissahickon Valley Park. Lower Merion Township residents saw one in their backyards last March. All in all, you’d be lucky to see one: They’re pretty elusive, and apparently they’re harmless to humans (for the most part). They prefer to eat small mammals, like raccoons, opossums, rats and mice, as well as berries and fruits. Watch out for your cats and small dogs, though — they’re probably fair game.